Sagittarius is charmed by Libra's artistic, elegant, easygoing nature, and Libra is fascinated by Sagittarius's lust for adventure. Libra is more romantic than Sagittarius; otherwise the sexual harmony is delightful. Libra casts a tolerant eye on Sagittarius's frolicking, and may even slow down Sagittarius's pace, for Libra knows how to turn on sensual charm. Libra loves home and luxury, and Sagittarius prefers the outdoor life. But Librans are artists at working out such problems. Libra will feel like the perfect friend to Sagittarius, which it highly values. 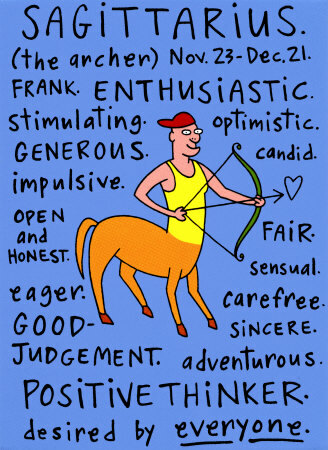 They'll have a mental rapport enjoyed by both, but Sagittarius must curb getting on it's high horse too often.